World News -- Pambazuka.org: Will Africa welcome a change in US foreign assistance? Pambazuka.org: Will Africa welcome a change in US foreign assistance? The author argues that President Trump’s proposed new Africa strategy seeks to make geo-economics the governing and guiding principle of US foreign policy on the continent. On 13 December 2018, President Donald J. Trump’s national security adviser, John R. Bolton, delivered a speech detailing the Trump administration’s new Africa strategy titled “Prosper Africa.” In the speech, Bolton outlined significant foreign policy shifts in United States-Africa relations. Key amongst them, a shift in foreign aid mechanisms toward what he called “deliberately and aggressively” targeting US bilateral investments in the region. The central focus of Bolton’s Prosper Africa strategy is to shift US foreign assistance away from social and political programmes and towards the African economy; namely toward trade, foreign aid, and private sector investment on the continent. The strategy as outlined is scheduled to take immediate effect, and to be the overarching Africa-specific policy guidance for the remaining years of the Trump administration. The chief tenet of the strategy is tied to President Trump’s hallmark principle of what is now commonly referred to as “Trumpism”—a reaffirmation of strict, uncompromising, nationalistic perspectives on political, military, and economic gains; one that has a particular emphasis on geo-economics as both the means and the end. This stands in stark contrast to the traditional post-World War II US foreign policy strategy rooted in concerns over globalism, international stability, soft power, and geopolitical leverage. Instead, geo-economics will now be the governing and guiding principle of US foreign policy in the region and around the world for the foreseeable future. Geo-economics, the lesser known cousin of “geopolitics”, has not had its fair shot as a viable strategy for exerting global influence in the modern era. However, given the expansion of globalisation over the past 25 years and the rise of China, India, and Russia in global affairs, US global political dominance has ostensibly waned, warranting a new approach to its foreign policy implementation. President Trump is seemingly prepared to give the geo-economic strategy its proverbial moment in the American foreign policy spotlight. The Trump Administration’s “America First” foreign policy strategy is poised to take aim at securing advantages in current US military and economic dominance in order to advance a more insular, singular, and minimalist approach to US global influence. This is a significant shift away from geopolitical focus to one of monetary accumulation and supply chain dominance. This is a strategy that will ensure the United States remains at the top of the economic food chain whilst yielding the perceived less rewarding geopolitical tasks of hegemony, i.e. serving as the world’s global police force, the world’s moral authority, and/or its chief financier. Aid for aid’s sake or even aid for altruistic purposes is no longer a luxury that the United States can afford. Under President Trump’s foreign policy, Bolton said “every decision the US makes, every policy the US pursues, and every dollar of aid the US spends” will go solely to further US priorities. For Trump, the economic “loss” in dollars and cents far outweigh the geopolitical gains of US global hegemony or US led global security. The desire here is to move away from aid as a social and programmatic exercise, to aid as a capitalist venture opportunity. The idea is thus to boost efficiency and effectiveness of aid dollars and not that of aid mechanisms. In other words, aid as “investment” instead of aid as “assistance.” This fundamental shift in philosophy is of critical importance and is ultimately a boon for African economies and will be a welcomed change in Western foreign assistance on the African continent. Analysts have described the “Prosper Africa” strategy as a self-serving attempt by the Trump Administration to preserve dominance by holding on to nationalism and division. However, the strategy will likely be perceived by Africanists as a clear policy shift away from the current aid modality that has been notorious for being convoluted, ineffective, inefficient, paternalistic, and often corrupt. African countries will certainly welcome a disruption of the traditional aid disbursement mechanisms that have prevailed and deemed unsuccessful for much of the past 50 years. The strategy therefore creates a unique, and long-sought after opportunity for partnership and mutual benefits. It sets the stage for a renewed relationship that promises increased economic independence for African countries whilst also protecting US national security interests abroad. It is in US national security interest that African governments do not entrap themselves in China’s debt-trap diplomatic advances. It is also of national interest to individual African nations, and Africa (from a Pan-African perspective), that it is not unwittingly trapped and beholden to China by debt or infrastructure development. Thus, when Bolton affirms that the new Africa strategy encourages African leaders to choose high-quality, transparent, inclusive, and sustainable foreign investment projects, including those from the United States, it is viewed in a new light and trusted as a genuine policy shift. After all, the proof is in the pudding. African nations have long sought this type of shift in Western foreign assistance provision to areas that focus on its ever-dwindling funding for infrastructure, private sector development, and administrative budget support. Strapped African governments have yearned for creditors, bond purchasers, and financiers of bankable projects and were all but dumbfounded as to how to raise funds. That was until China jumped into the fora with seemingly endless coffers for funding infrastructure in the form of low interest loans, grants, and natural resources contracts. It is worth noting that many African governments are similarly apprehensive as their Western counterparts about entering into multi-billion-dollar bilateral agreements with China. However, they are also grateful for the availability of any funding at all for the long-neglected infrastructure needs of millions of their constituents and the opportunity to spur domestic economic growth. Therefore, the idea of an open and competitive bidding process (with the US and China as principal competitors) for these mega billion-dollar deals is nothing short of a long-awaited blessing for African governments looking to invest heavily in infrastructure as their populations promise to double over the next several decades. In which case, if the US promise is to “help African nations move toward self-reliance” by providing alternative options for financing African infrastructure projects, African countries will certainly accept that new foreign policy shift with glee. This is perhaps why the information on a change in US-African relations has been received rather enthusiastically on the African continent, as both Africanist scholars and policy makers alike are eager to move away from what they perceive as contrarian US foreign aid programmes and policies. Implementing the “Prosper Africa” strategy will require serious commitment to changing the cultural and institutional mind-set of aid culture in the United States. Further to this, it will require the consolidation of several key US-based foreign aid and investment institutions, as well as the integration of key trade and aid policies to align with a broader geo-economic mission. This includes streamlining funding mechanisms at United States Agency for International Development, Millennium Challenge Corporation, US Department of Commerce, US Department of State, and incorporating the recently passed Better Utilisation of Investment Leading to Development Act into a singular foreign assistance and investment system. This is indeed no small feat and will surely have some stumbling blocks along the way as the details are released. The question of how quickly the strategy will make meaningful inroads on the continent will be long awaited, leaving China as the clear choice for financing large projects on the continent for much of the near future. However, once streamlined, the US has a lot of funding at its disposal for African projects, as the United States remains the largest provider of foreign assistance in the world. The United States outspends the next largest donor, Germany, by more than US $10 billion a year. The Chinese also spend a lot in foreign development, however much of China’s foreign assistance is not tracked by international organisations. China keeps company with a group of countries like Saudi Arabia, Iran and Venezuela who collectively spend billions of dollars on overseas development each year but provide little to no information about where the money goes. However, a 2017 AIDDATA report provided estimated figures for China’s development assistance around the world. The 2018 Forum on China and Africa Cooperation also sheds light on Chinese investment in Africa. China has committed to a tranche of US $60 billion in financing for the next three years. According to their research, this amounts to US $20 billion per year. However, much of the financing is not “aid” as we would understand it, instead it is “financing” which has a different tinge to it than Western forms of development assistance. Chinese assistance comes in the form of foreign direct investment, grants, zero-interest loans, concessional loans, export credits, and credit lines; all of which are exchanged for monetary and concessional benefits to the Chinese. These agreements are largely transactional services with an end goal of either enriching the Chinese with extractive minerals or serving a strategic end for the Chinese political apparatus. By contrast in fiscal year 2017, the US disbursed approximately US $8.7 billion in development, security, and food assistance directly to African countries. This does not include the estimated US $50.2 billion in US foreign direct investment reported for the same year, nor does it include assessed contributions to the United Nations and other international commitments of which the US leads. Thus, a more comprehensive outlook is warranted for an even-handed analysis between the two nations. A shift in US assistance clearly has the potential to leave glaring gaps in the development landscape as traditional foreign assistance covers much more than infrastructure and private sector investment. Funding shortages for democracy, governance, human rights, civil society, activism, and other watchdog groups will be extremely detrimental for freedoms on the continent. Although the European Union, Germany, United Kingdom, Norway, The Netherlands, Canada, Australia and other Western donors will scramble to fill the gap in funding for these principles. The absence of the US will likely result in the rise in authoritarianism and impunity as a common choice of governance in reflection of the successful growth model of the Chinese and the waning dominance of American soft power on the continent. Financial gains, gross domestic product growth, and economic competition will thus prevail at the cost of the spread of the American worldview. Perhaps, life, liberty, equality, and freedom will no longer be the rallying cry of a US led new world order. The arc of justice may even flatten ever so slightly; and a certain level of control may inevitably be lost. Incidentally many African leaders often find this type of “control” to be a coercive and intrusive infringement on their sovereignty. Thus, democracy and justice may in fact see a different light, as matters of geopolitics are rarely zero-sum. African leaders that generally accept the principles of freedom, justice and equality, but object to the involvement of Western governments in their internal and political affairs will praise the move as liberalising and democratising. The shift in policy will surely vindicate the gripes of pan-Africanists worldwide and signal international trust in African-led governance and a step toward increased African sovereignty—which is good for US-African relations. The prospect of more competition for loans and less encumbered-aid also presents opportunities for African countries to have increased autonomy in their internal affairs, which has otherwise been unprecedented for African states in the modern era. Success in aid provision, loan servicing, or investment deployment will depend in large part on the nature by which African governments engage, negotiate, plan, monitor, and execute development projects. Issues concerning political freedoms and democracy will also need to be managed carefully to ensure regional stability and internal security. 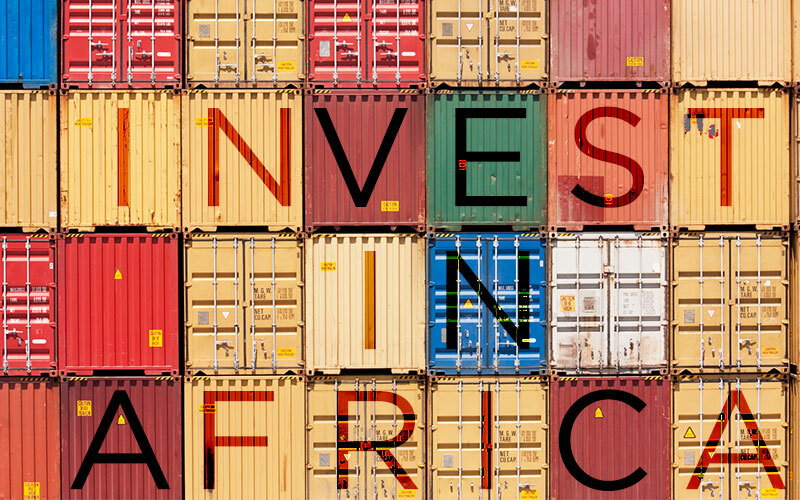 The “Prosper Africa” strategy is poised to indirectly affect these matters. The three pillars of the strategy (advancing Africa US trade and commercial ties; countering the threat of violent extremist terrorism; and ensuring US aid dollars in Africa are used efficiently and effectively), speak to improvements in fiscal responsibility, peace and security, and aid effectiveness. All of which are complimentary interests for African states. It will be up to an organised bilateral process between the US, China and African nations, as well as a multilateral process including the African Union and Regional Economic Communities to determine the viability and success of aid and foreign direct investment on the continent. * Doctor Suleyman Garaba Konte is a commentator on African affairs.